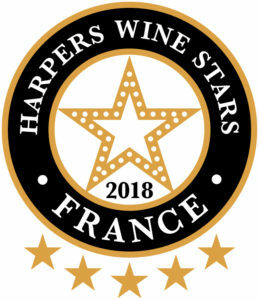 Harpers Wine Stars is a “buyer-focused tasting competition dedicated to awarding outstanding wines” and in this year’s French category Bijou Wines was awarded top-tier ratings. Le Bijou de Sophie Valrose was awarded an excellent 4 stars out of 5 and Bijou’s Ciel de Lilac scored top marks with an outstanding 5 stars out of 5 – distinguishing it as a ‘Buyer’s Choice’ wine. Harpers Wine Stars is the only competition to have only wine buyers as judges, meaning that the awards directly correlate to the wines that are believed to sell well in both the on-trade and off-trade. This expertise is then relayed to other buyers in the wine industry via a comprehensive guide to the country or region’s best wines. The judging takes into account not only the quality of the wine (conducted by a blind tasting) but also its value for money and the design of the packaging. Crush Wines are delighted that their top brand ‘Bijou’ has been awarded with such high marks at such an important and reputable competition.